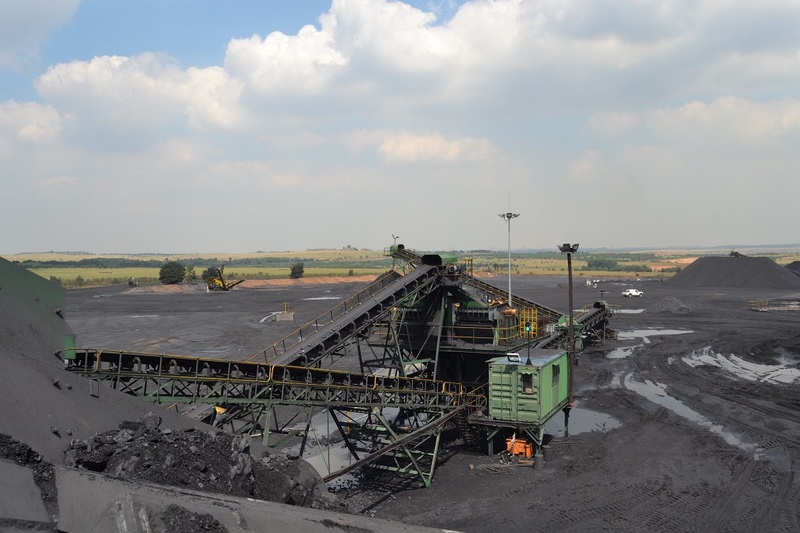 Access to new coal reserves has ensured that Exxaro will mine from its Leeuwpan Coal Mine in Mpumalanga for at least another 10 years. 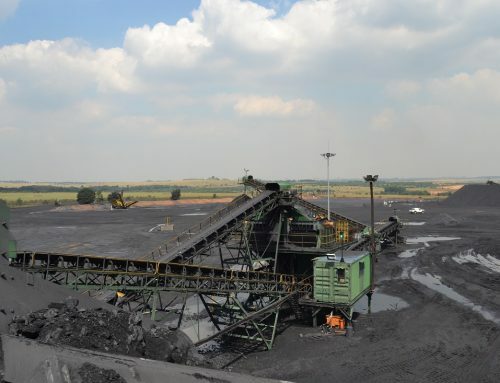 Leeuwpan, Exxaro’s 3.65 million tonnes per annum (Mtpa) coal operation near Delmas, was until recently at risk of running out of coal. However, within a few months, the mine gained access to new coal reserves, which added another 10 years to the initial life of mine. 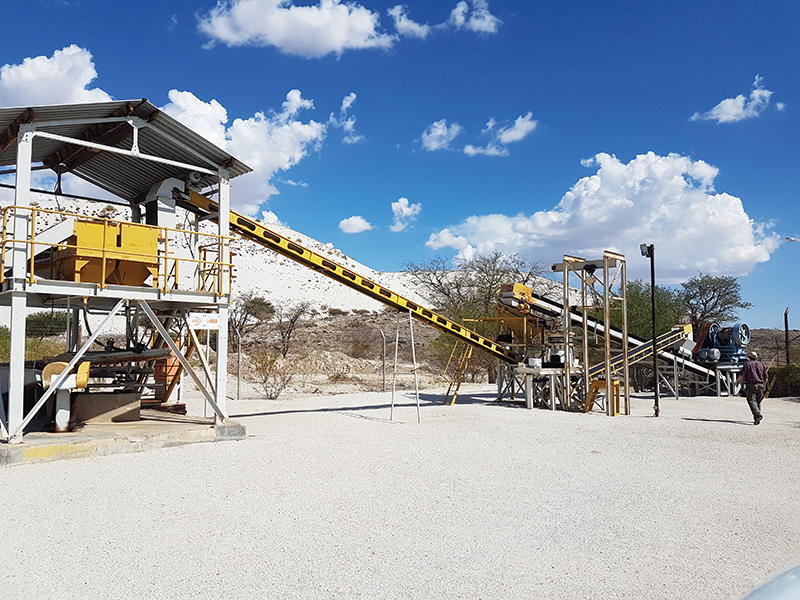 “Leeuwpan needed to develop an area where it could mine another 5.1Mtpa,” explains Mervin Govender, Exxaro group projects manager. 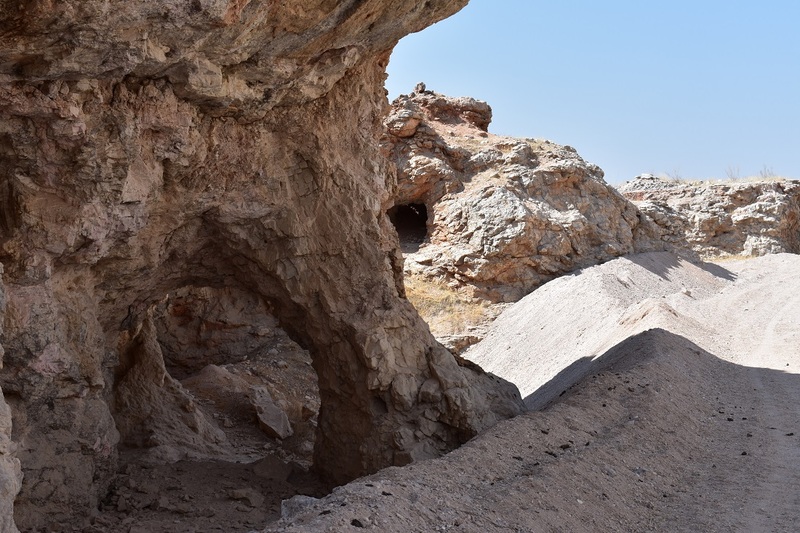 A national road — the R50 — crossed the identified area and another private access road, the Thaba Chueu Mine (TCM) road servicing the nearby silica mine, was also affected. Both roads needed to be redirected in parts for Leeuwpan to reach the new mining area. It was a race against time. 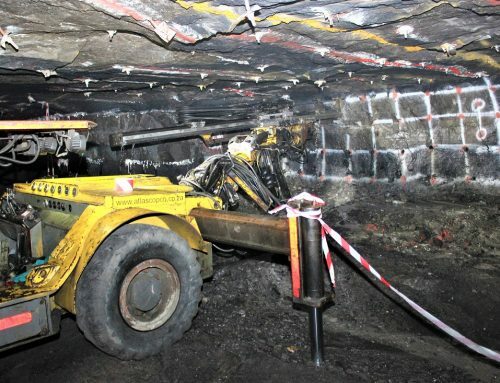 “A project like this would normally take 14 months, but Exxaro needed it completed in eight months to avoid the mine closing in 2019,” says Govender. The project team went one step further and completed it two months ahead of a fast-tracked schedule. The R50 and TCM roads were handed over to Exxaro at the end of August and opened to the public on 28 September. As testimony to the quality of work despite extreme time pressures, the Department of Public Works, Roads and Transport signed off the road without any amendments — the first time ever that a public road has been completed to the Department’s complete satisfaction. 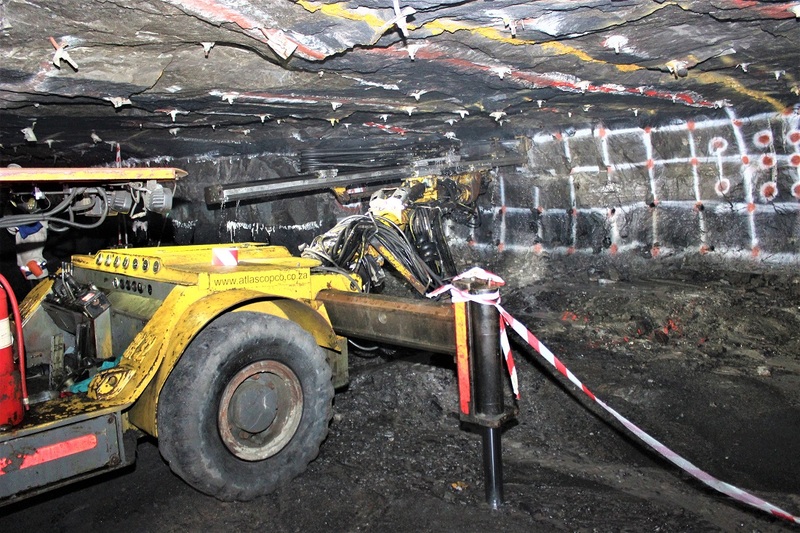 “The successful completion of the construction of the R50 deviation and new TCM access road now opens up the OI block for mining and extending the life of Leeuwpan Coal Mine, resulting in significant investment and economic growth for the Delmas area,” says Nombasa Tsengwa, executive head: coal operations. Water kept seeping through the road rockfill into the culvert exaction. Marshy area filled with rockfill using end tipping. According to Mangaliso Sethethi, business unit manager at Exxaro, communication with the Delmas community was key to the success of the Leeuwpan project. “As with any sound project, success can only be built on a solid foundation. In this instance, it was dialogue,” says Sethethi. “An early appointment to the project team was a dedicated stakeholder manager who discussed the employment and procurement opportunities available to the community, thereby allowing them to buy into the project before it took its first steps,” explains Sethethi. At peak, 343 people were employed, with 70% recruited from the Delmas community. To date, direct capital spend from the life extension project, which include the box cut and road diversions, amounted to R280-million, with 31% spent in the Delmas community. Further benefits will accrue in the next stage of the project, which includes building homes for residents who have been relocated. According to Nico Pretorius, CEO of Jodan Construction, communication with the contractors on site was another reason why the project was completed before deadline. “The urgency united us as one team working towards one outcome. 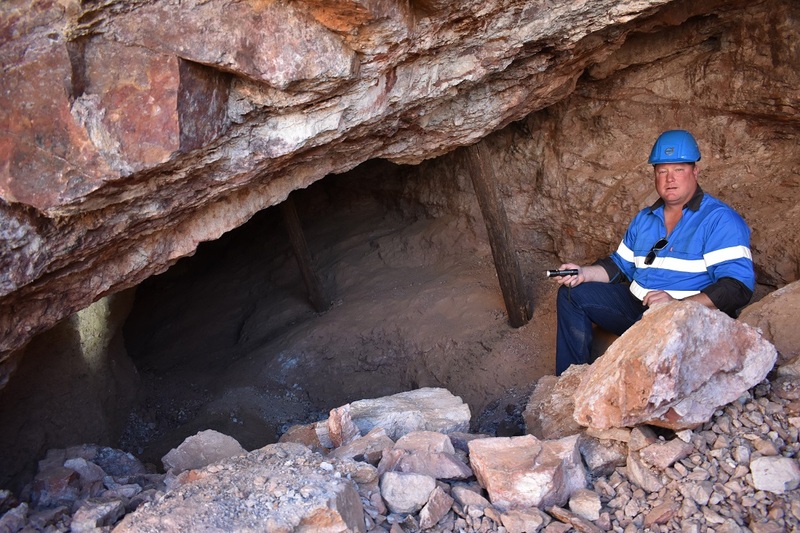 We knew that the life of the mine — and people’s livelihoods — depended on us moving and repositioning the roads in time and we aligned all the construction goals with this one big Exxaro goal,” he adds. Typical culvert on precast slabs. Theunie Visagie, a senior representative of JG Afrika, the company responsible for the design of the road, agrees that while the project was more challenging than normal due to the time constraints and traversing a wetland, Exxaro’s constant cooperation and willingness to find solutions helped them finish the project within the timeframe. Daily meetings and visible leadership added further support. “Both the contracting and engineering, as well as Exxaro’s project teams, were working to an extremely tight deadline with very little room for error. Our client needed to access the additional 5.1-million tons of coal reserves by the end of 2018 to avoid closure in 2019. However, delays in obtaining a wayleave from the relevant provincial authority delayed the start to what was initially intended to be a 14-month construction programme. 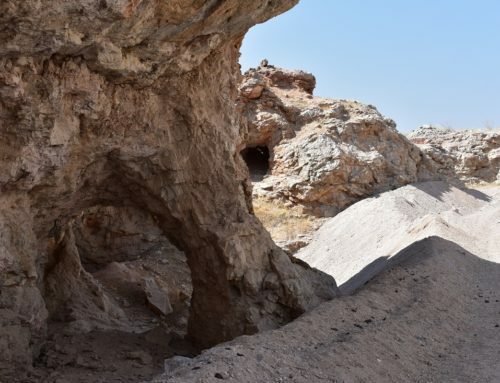 By the time that it received the necessary approvals, the contractor, Jodan Construction, had also been appointed, and the mine simply could not afford further delays,” Visagie says. 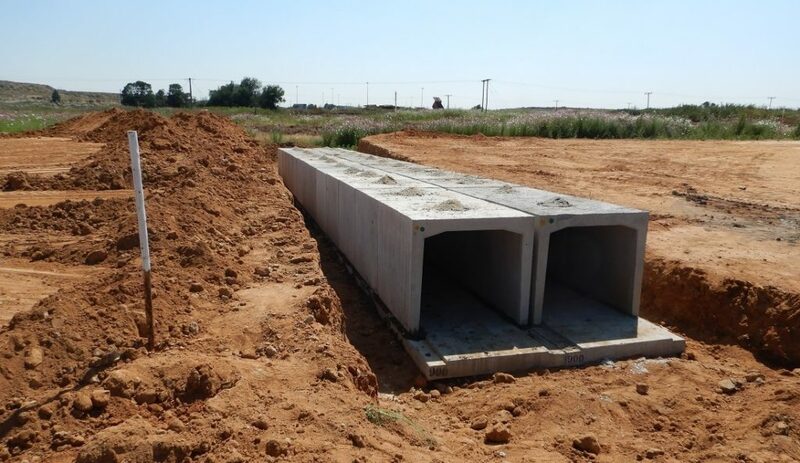 Working closely with the client, a decision was taken to incorporate precast-concrete base slabs for the 11 000m of prefabricated culverts that were installed along the routes. These elements were accurately manufactured in a factory environment and then transported to site where they were installed by the main contractor, Jodan Construction, and, in so doing, saving significant time in steel fixing and shuttering works associated with cast-in-place construction methods. To further accelerate the works programme, the contractor sourced quality crushed aggregate and rockfill directly from TCM in an approach that saved significant time in locating suitable material and the need to open borrow pits. 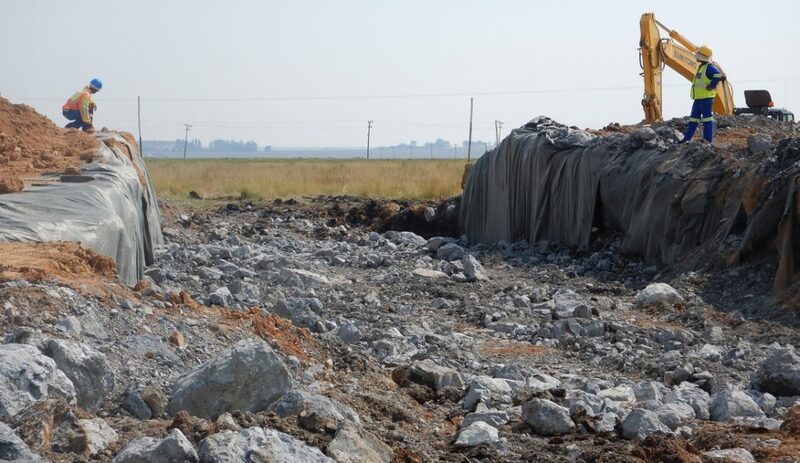 Visagie says that a total of 55 000m3 of rockfill and 18 000m3 of fill material were sourced for the project, over and above the 103 000m3 of aggregate used for the road layer works. These quantities demonstrate the sheer extent of the construction works that were completed in such a short period, and Visagie says that Jodan Construction’s strong team on site also played a huge part in helping the professional team meet this onerous deadline by consistently maintaining the required high-quality levels. This is in addition to the significant resources that the contractor deployed to the project to keep works progressing according to schedule. For example, more than 70 tipper trucks were on site to transport construction material to the various work faces — an extensive logistical undertaking that required close and careful coordination. Meetings were held almost daily between representatives of the contracting, engineering, and Exxaro project teams to regularly assess progress made and to anticipate and quickly solve challenges as and when they arose. Certainly, the hands-on approach adopted by the client and its willingness to assist in solving complications, and excellent team dynamics between all representatives of the professional team as well as the contractor, also played a large part in the successful outcome. Ralumac slurry seal that was used on the private road. One of Visagie’s critical functions on site was to provide technical advice to the professional team, and he is very proud of the extent of innovation that was deployed on this project to solve many challenges. This includes working in a wetland through which the new provincial and district roads traversed. 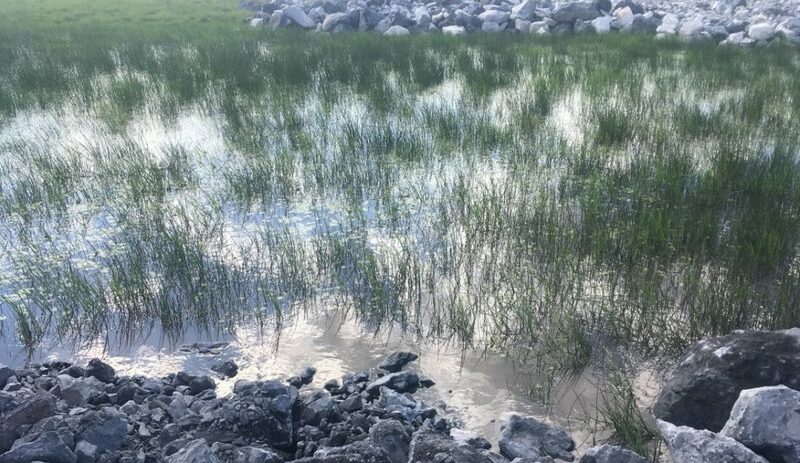 A novel solution was devised to stabilise the bases for the 14 large, 2.4m × 3m stormwater structures that were installed in this marshy terrain with rock grid, bidim, rockfill, and 19mm and 6.4mm aggregate. Another example of innovative thinking was the use of impact compaction rollers on as much as 80% of the road distances to accelerate the treatment of large areas located in commercial maize farmlands. Impact rolling has the added benefit of obtaining much better levels of compaction at depth. Better compaction of the substrata creates a stable platform to construct a surfaced pavement structure highly resistant to permanent deformation. Notably, the private road features a 16mm micro surfacing, Ralumac. Ralumac is a rapid-setting cationic modified rubber bitumen slurry AC-E1 and known industry-wide as a surfacing alternative that facilitates fast construction. The resulting surfacing is highly durable and resistant to permanent deformation, like rutting and shoving. 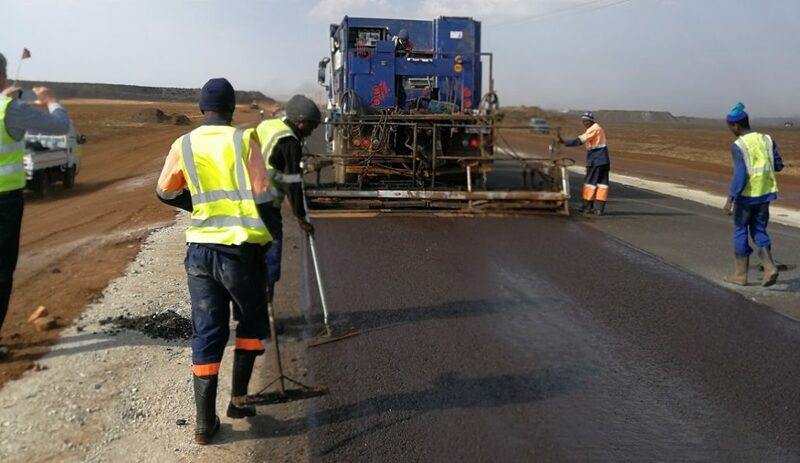 “It has been used extensively in the country on public-sector road construction projects such as those by the City of Tshwane Roads and Stormwater Department. This was the ideal opportunity to introduce the client to a more affordable and longer-lasting surfacing product, the performance of which will be monitored as part of a trial period. 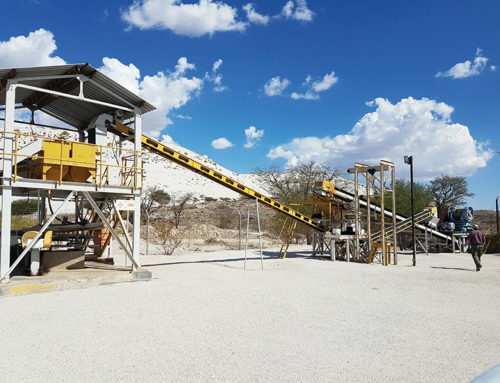 The service life is largely dependent on the aggregate type used, but will likely last in excess of 10 years, provided good-quality aggregates were sourced,” Visagie says. One of the challenges on this component of the project was coordinating construction activities on the private road with the extensive haulage operations of Exxaro coal mine. The haul road serves many large rigid dump trucks. A semi-automated traffic and access control boomgate system was implemented for the level crossing with the public road. The road comprises a 150mm thick base course, 200mm sub-base layer and two selected layers. The contractor deployed a state-of-the-art road recycler for stabilisation to provide a consistently homogenous mix, with cement bags unpacked and squeegeed by hand to assist in creating jobs via labour-intensive construction practices, despite the fast pace of construction required. The provincial corridor caters to high traffic volumes and this includes the many heavy commercial vehicles that use the road and abnormal loads that are transported to and from mines and other industries in the area. To maintain high road safety levels, the bypasses along this route were built to high pavement standards and illuminated with solar studs and mobile high mast lights, while extensive signage was installed on both sides of the road to alert traffic. “We also had a very competent Exxaro Resources safety officer on site. He went to the extra effort of alerting all couriers working in-and-around the area of the bypasses. The contract team also installed radar speed cameras typically deployed by the traffic authorities. They flashed at speeding vehicles, which slow them down, and this proved to be a very effective means of encouraging safer driving behaviour,” Visagie says. At the same time, a local emerging contractor was appointed to construct a 1km section of the district road, gaining valuable experience while working alongside an established principal contractor. 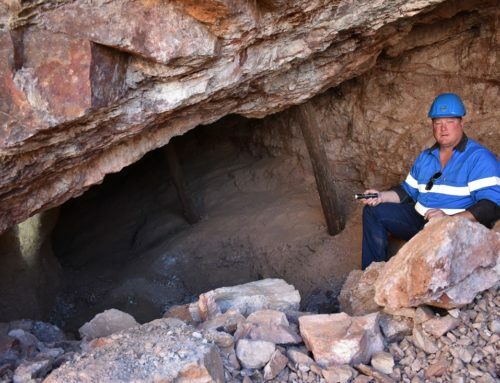 Lithium: Namibia’s cure or curse?